There’s a button inside the Dodge Challenger Demon that allows you to switch between regular pump gas and 100+ high-octane race fuel. The difference between the two should be noticeable. 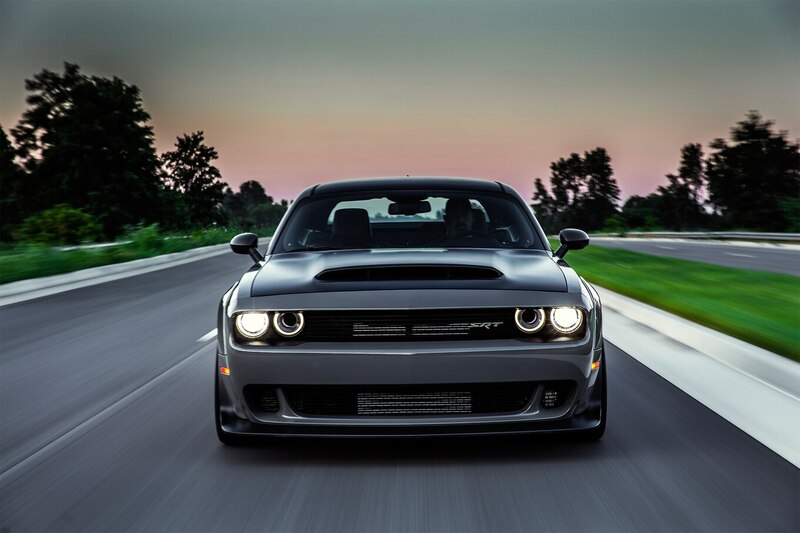 Dodge said it themselves that if you fill up on high-octane fuel, you will see “big changes in elapsed time,” when it comes to the Demon – as if it wasn’t already as quick as a hypercar over a 1/4 mile. In fact, if you’re running on pump gas, instead of 840 horses, you’ll be using just 808 at the crank, which is still great, but not optimal in the world of drag racing.Now, it might interest you to know that this particular Demon, which we can only assume is completely stock, put down an impressive 724 RWHP on the dyno. In other words, over 830 HP at the crank. The best part is that it was using pump gas, which could mean that perhaps Dodge isn’t telling us the whole story with regards to how powerful the Demon really is.That or the driveline loss is relatively small, somewhere around 10% – this of course being a… less fun to entertain scenario. Next articleAudi R8 will survive until 2020 !! !